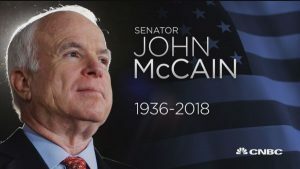 John McCain served the United States for more than 50 years, as a naval pilot and U.S. Senator. We’ve updated our last current event to make this more easily used in your classroom. What does John McCain represent to the American people? How does his prisoner of war experience contribute to his biography? How does his run for President in 2004 add to his biography? Did the Republican majority in the Senate influence John McCain’s decisions? Did John McCain influence the Republican majority in the Senate? 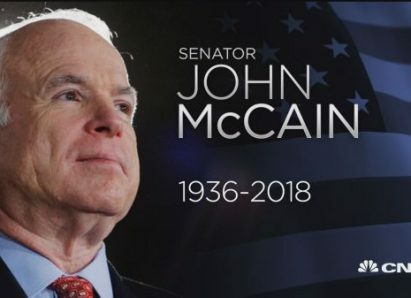 What was McCain’s role in the US Senate? Does McCain represent “bipartisanship”? How did he bridge the gap between parties? How did the “maverick senator” influence debate in the Senate? Is “maverick” the correct term for John McCain? How does John McCain’s cancer affect his role in American life? What is the process to replace a sitting senator in Arizona? What kind of role model does John McCain want to be? On which issues was the voice of John McCain heard? Why is opposition to torture an important part of his legacy? What mistakes did Senator McCain make? CLP: Examining how McCain’s experience in Vietnam affected his worldview.